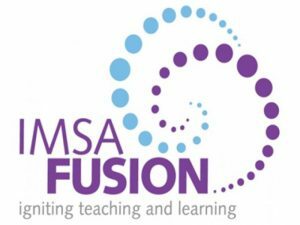 IMSA Fusion is an after-school math/science enrichment program for 4th and 5th grade students who are talented, interested, and motivated in science and mathematics. The Illinois Mathematics and Science Academy has partnered with St. Joan of Arc to sponsor IMSA Fusion. The IMSA Fusion curriculum is inquiry based, problem centered and integrative. The learning experiences focus on helping students “learn how to learn” and emphasize logic, mathematical thinking and experimental scientific thinking. Topics relate to the students’ lives, thereby arousing their curiosity and increasing their motivation to learn in mathematics and science. This year’s IMSA Fusion teachers will be Mrs. Kelly Carr and Mrs. Heather Kroupa, both current St. Joan of Arc parents. Mrs. Carr has a Bachelors of Science in biology and chemistry education from the University of Iowa and a Masters in Literacy from Benedictine University. She has taught middle school and high school science. Mrs. Kroupa has a Bachelors of Science in Chemical Engineering from the University of Illinois and a Masters in Teaching from North Park University. She has taught high school science and tutors math and science to middle school and high school students. Both are enthusiastic parents and educators excited to increase the IMSA students’ passion for science. The IMSA program continues throughout the entire school year on Thursdays after school. If you have questions about the IMSA program please contact the school office.